Over the past few weeks we have been working on a pretty massive pipe. 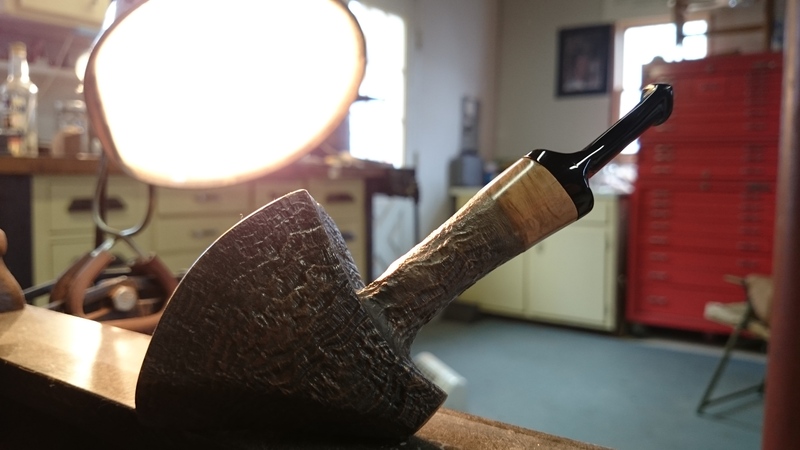 We knew the pipe needed something a little different so we decided to sandblast it. 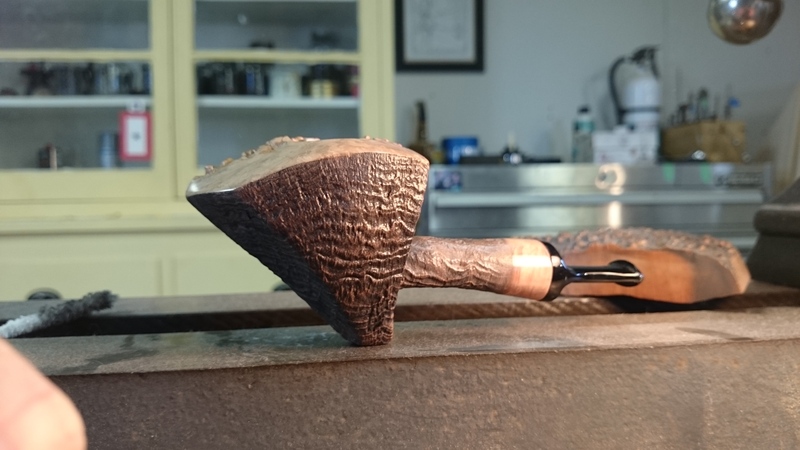 It’s something we’ve never done before but brought out some really cool grain patterns. 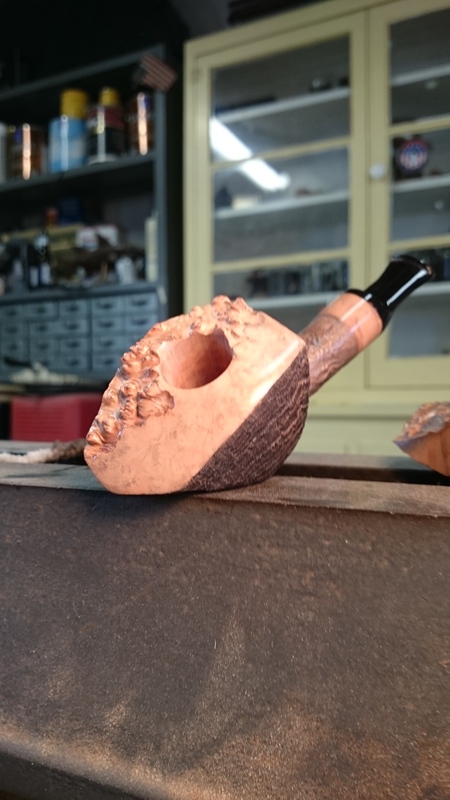 The pipe has a smooth/rough contrast on top that we’re very happy with. We’ll be uploading some proper pictures after the holiday. Hope everyone has pleasant smokes over their holiday.